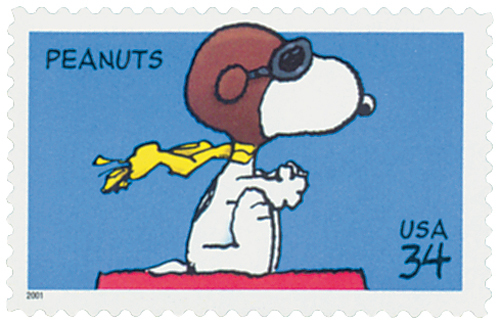 U.S. #3507 – Snoopy frequently imagined himself as a WWI flying ace ready to take on the Red Baron. Famed cartoonist Charles Schulz was born in Minneapolis, Minnesota on November 26, 1922. From an early age, Charles Schulz had an affection for both comic strips and drawing. Every Sunday he and his father sat down together to read the funnies. The younger Schulz’s favorites included Skippy, Mickey Mouse, and Popeye. Schulz frequently drew the family dog, Spike, who had a habit of eating odd objects such as pins and tacks. In 1937, he sent a drawing of Spike to Ripley’s Believe It or Not!, and Robert Ripley published it in his syndicated panel. On November 25, 1864, a group of Confederate operatives set several fires in New York City, as retaliation for damage done in the South by Union troops. Though far away from the battlefields and bloodshed, New York City was a hotbed of activity during the Civil War. Early on, the South had hoped it would secede and join them as a city state. In July 1863, the New York Draft Riots claimed 119 lives. Weary soldiers from Gettysburg marched into the city to end the riots. After that, Major General John Dix was given military control of the city. 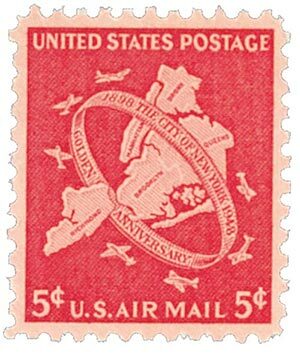 U.S. #179 – Taylor “Bank Note” stamp that covered the rate to foreign countries in the Universal Postal Union. 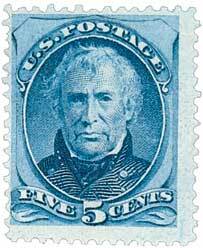 Zachary Taylor, the 12th President of the United States, was born near Barboursville, Virginia on November 24, 1784. In 1785, Taylor’s family moved near Louisville where his father, Richard Taylor, an officer in the Revolutionary War, had been granted 6,000 acres of land for his military service. There were no schools in this frontier area, so Taylor studied with private tutors. U.S. #819 from the popular Presidential Series of 1938. 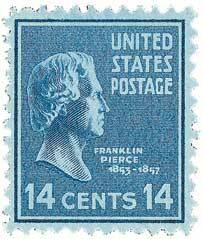 Franklin Pierce was born in Hillsborough, New Hampshire, on November 23, 1804. Pierce was the only U.S. President to hail from New Hampshire. Franklin’s father, Benjamin Pierce, was a decorated Revolutionary War veteran and active in state politics, including two terms as governor. At the age of 12, Franklin Pierce was sent to Hancock Academy to study. Pierce reportedly became homesick and walked home fourteen miles barefoot. His father drove him halfway back to the academy, abandoning Pierce on the side of the road without uttering a word. U.S. #1287 – For many Americans, his administration gave hope for a better future. 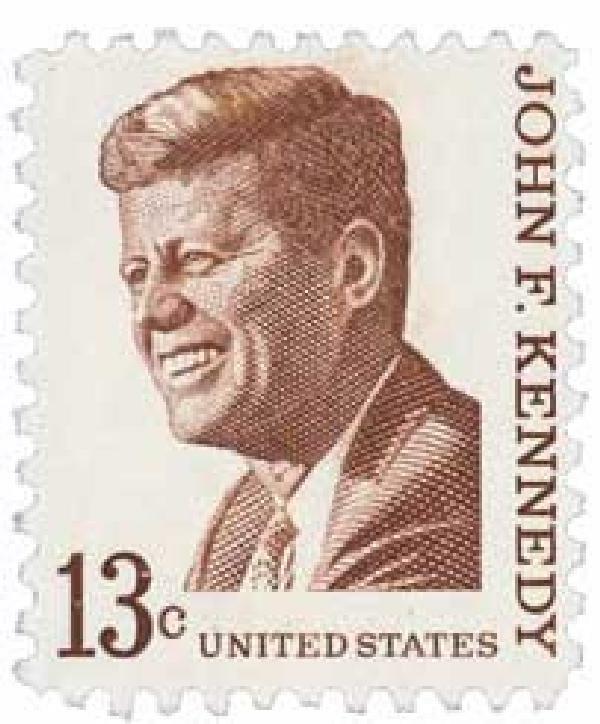 On November 22, 1963, President Kennedy was assassinated while campaigning in Dallas, Texas. John Kennedy brought an air of optimism to the White House and the country. He seemed to be made for the age of television, and the media and public were interested in his presidency and young family. His first year in office was difficult and some of his decisions accented his lack of political experience. 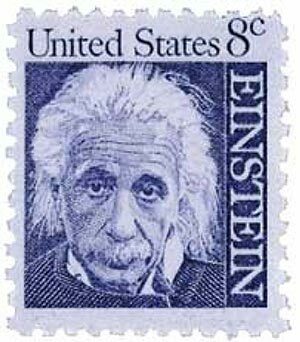 U.S. #1285 – Einstein published more than 300 scientific papers during his lifetime. On November 21, 1905, Einstein published a paper that presented one of the world’s most famous formulas . . . E = mc2. One of the greatest scientific minds in human history, Albert Einstein was born in Ulm, Württemberg, Germany in 1879. Although he was very successful in the end, Einstein occasionally faced adversity. Not always a great student, he had a teacher who told him that nothing would ever become of him. Then, after graduating with teaching credentials, he couldn’t find a job in his field. He finally found a position as a clerk, and although this was not his chosen profession, it left him time to research and write about his theory of relativity.